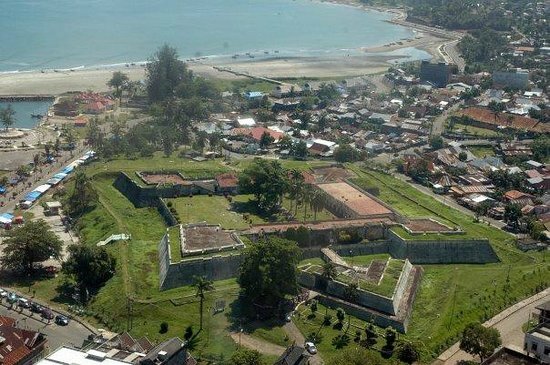 Bengkulu, historically known as Bencoolen or British Bencoolen, is one of the Provinces of Indonesia and is located in the southwest coast of Sumatra. It was formed on 18 November 1968 by separating out the former Bengkulu Residency area from South Sumatra (Sumatra Selatan) province under Law No. 9 of 1967 and was realized by Government Regulation No. 20 of 1968. Spread over 19,813 km, it is bordered by the provinces of West Sumatra (Sumatra Barat) to the north, Jambi to the northeast, Lampung to the southeast, South Sumatra (Sumatra Selatan) to the east, and the India Ocean to the northwest, south, southwest, and west.